Besides National Theater this is the most outstanding Neo-Renaissance building in Prague which has got its own specific flavor. Its architects managed to integrate concert and exhibition halls into one harmonious whole of a distinctly cosmopolitan nature. The main hall, called the Dvorak Hall, is one of the principal concert halls of the Prague Spring Music Festival. The Rudolfinum's exterior blends well with the surroundings and its location next to the Vltava River commands an excellent view of the Prague Castle. 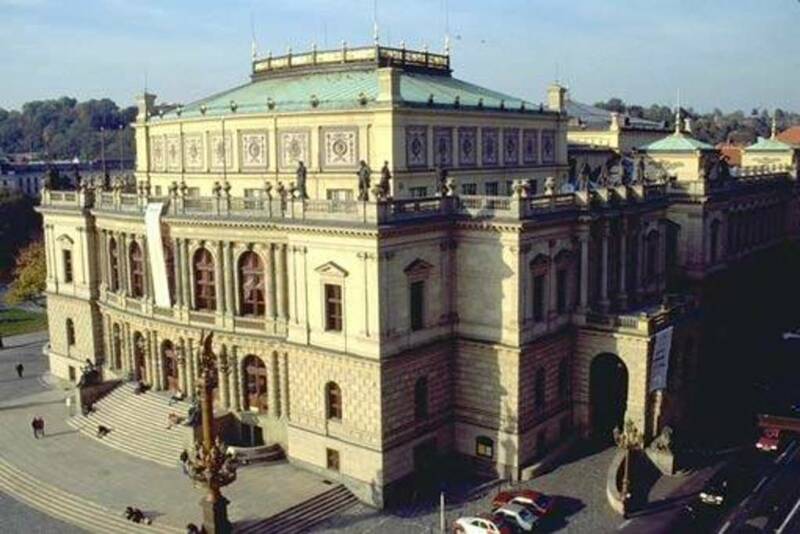 The activities of the Czech Philharmonic Orchestra in Rudolfinum commenced in 1896. In 1918 Rudolfinum was chosen as the temporary seat of the Parliament of the Czechoslovak Republic. As of 1920 the Parliament resided there on a permanent basis. The part of the building that had housed the galleries faced most profound and radical reconstruction, involving construction and room plan as well as ceilings of the exhibition halls. Not event the concert hall was saved from profound changes as the organ was taken away and replaced with a parliamentary tribune. The concert hall underwent first partial restoration in the 40´s. 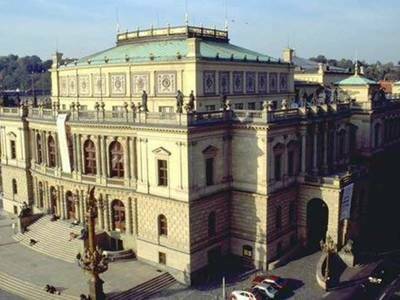 Since the end of World War II the Czech Philharmonic Orchestra has resided in Rudolfinum again. The Prague Conservatory and the Academy of Performing Arts though used the space of the former gallery. As late as in 1990-1992 the building was profoundly rebuilt and modernized. As a result, this precious monument has been restored to its original state and above all to its original purpose. It again serves the public for concerts and art exhibitions purposes.